There’s a definite chill in the air across much of the country…Olaf doesn’t need his personal snow flurry in most places these days, as Winter is definitely upon us. If you’re like me, it makes me think of where I want to head on my next Disney Vacation. Maybe at Aulani, a Disney Resort & Spa in Hawaii? Or, how about a visit to a Costa Rica Tropical Rain Forest with Adventures by Disney? And, there’s nothing quite like a Disney Cruise, right? 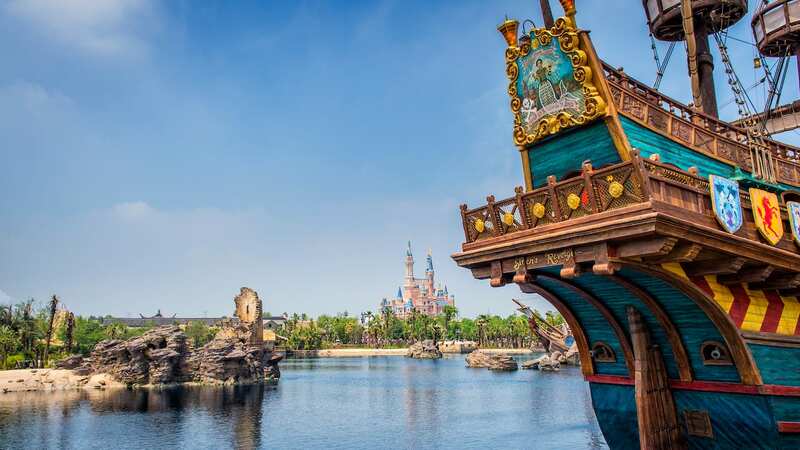 If these sound as good to you as they do to me, then this is the perfect week to be tuning in to “Wheel of Fortune.” Starting tonight, it’s the fourth annual Disney Sea & Shore Week, and you’ll get to preview all of these amazing Disney Destinations. And you can play along, as fantastic contestants solve challenging puzzles. And here’s the best part of all! Watching could even win you a pretty amazing Disney Cruise Line Vacation, as well – but, you’ll have to tune in to win! 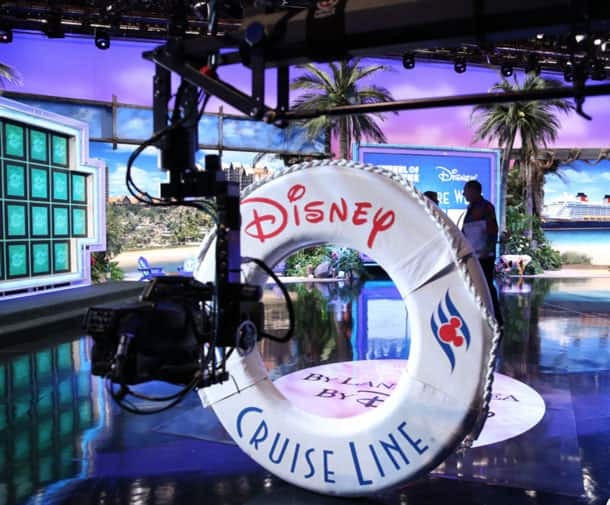 Over the past few years, Pat Sajak, Vanna White and the whole “Wheel” have traveled with us on Adventures by Disney trips, to Aulani, and on our cruise Ships – and you’ll get to experience some of those adventures during the week, too. We had a fantastic time taping these episodes at the “Wheel of Fortune” Sound Stage in Culver City, California. We wanted to share a couple of pictures, including this pretty cool behind-the-scenes shot of a slightly oversized Disney Cruise Line Life Preserver. There’s even more Disney excitement on “Wheel” this season – we’ll be sharing more on that soon. In the meantime, check your local listings for time and channel, beginning tonight. And, as always…Buy vowels!